No Shower No Problem Action Wipes Are Large, Disposable, No Rinse Cleansing Body Wipes Moistened with 100 per Natural Ingredients, Tea Tree and Eucalyptus. Guaranteed to Remove Sweat, Grime and Odor. Safe for Pets and Kids. 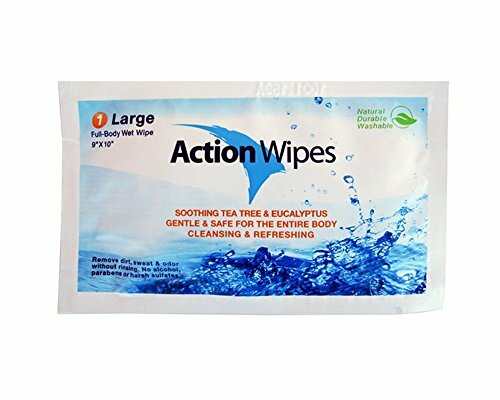 If you have any questions about this product by Action Wipes, contact us by completing and submitting the form below. If you are looking for a specif part number, please include it with your message.